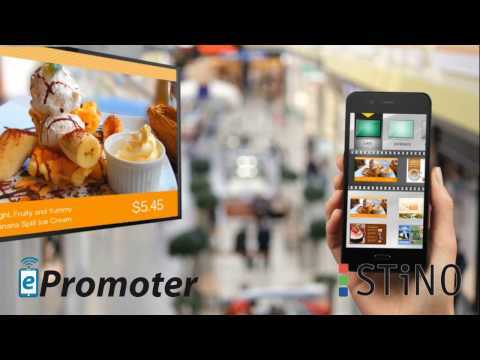 Digital Marketing solutions are helping businesses to grow on a global scale, with STiNO’s ePromoter, managing digital signage software has never been easier. The ePromoter Management App allows customers to manage their campaigns and screen promotions without the need for a dedicated server. It is simple to use and content can be controlled by any mobile device. Now, even the smallest scale businesses can manage their communications at any level and change content at a moment’s notice. The ePromoter Management App is an Android App-based platform designed to make it easy for all businesses to reap the marketing benefits of digital signage. The software offers the most straightforward solution for publishing, scheduling and managing content. Each content element can be scheduled and the content library can be published to the smart phone or tablet via Dropbox. ePromoter allows businesses to be completely flexible with content. It can also be used with STiNO’s web-based Digital Signage Management Software, iChannel to change the play-out of sections of a playlist or to interrupt the playlist with pre-loaded ad-hoc content for a single play-out. The App can be installed on any Android-based smartphone or tablet computer and manages Android or Windows Digital Media Players in the local network. The ePromoter platform allows businesses to easily control screen promotions without the need for a dedicated server or any specialist training. It is built for easy management of content play-out of images, videos and HTML templates in local networks from an Android tablet or smartphone and consists of a free Android Manager and STiNO DMP-A Player App. ePromoter can be used in many vertical market segments such as retail, hospitality, leisure and education, or indeed any space where content needs to be updated frequently, simply and at speed. As the solution uses an Android Tablet or Smartphone controller, there is no requirement for a PC, server or connection to an existing Network. STiNO’s ePromoter removes the complexity associated with many popular digital signage solutions. Whether organisations want to promote their products, sell their services or inform and engage the public, ePromoter allows businesses to manage their digital signage from any Android tablet, smartphone or smart display. The management App enables content to be controlled anytime, anywhere and manages all forms of screens and signage, from dynamic menu boards and information screens to interactive kiosk terminals. 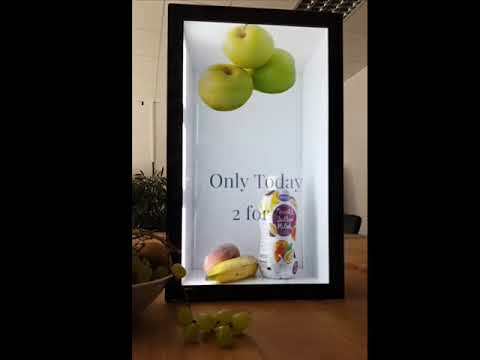 The full range of capabilities for digital signage applications, managed with the touch of a fingertip.